Britain’s Phil Sharp finished third in the highly-competitive Class40 division in the Route du Rhum-Destination Guadeloupe race. 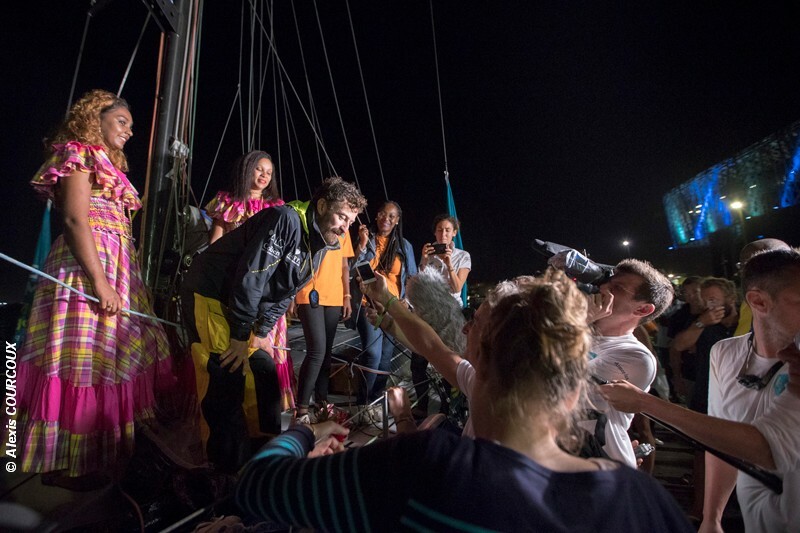 At the helm of Imerys Clean Energy, 37-year old Sharp from Jersey crossed the finish line at Pointe-à-Pitre in Guadeloupe at 02:01:50 hrs UTC Wednesday after 16 days, 13hours 1minutes and 50 seconds at sea. In a thrilling race to the line Sharp was denied second place by French rival Aymeric Chappellier at the helm of AINA Enfance Et Avenir by just 1 hour 45 minutes and 35 seconds. A total of 123 sailors started the Route du Rhum-Destination Guadeloupe on November 4 off Saint Malo in Brittany. The Class40 division was the most numerous of the six classes in the 3,542-nautical mile race with 53 skippers taking part.